The internet is an essential service today and individual, businesses and organizations cannot do without it. Through the internet platform, communication across the world is now more comfortable easier, faster and more secure. It is through the internet that most disruptive technologies have emerged again showing its importance in the contemporary world. 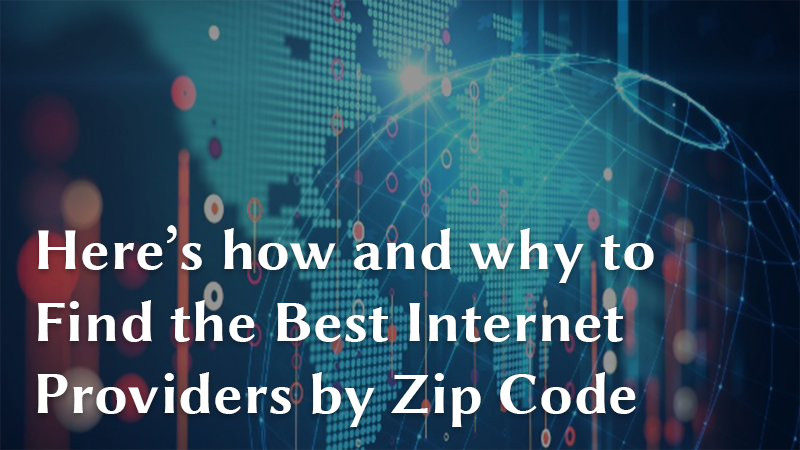 Now, whether you want an internet connection for individual use or your business, there are many service providers available in every market. Most likely you have tried some of the service providers and the fact that you are in search of an alternative shows you didn’t get satisfactory service. Internet service complaints are among the main complaints on consumer platforms and that’s why you need to do due diligence to find the best internet service provider. Well, to help you make the right choice, this article will explore available options in the market and give you tips to make an informed choice. Keep reading. Cable Internet: This is the earliest internet services available and remains popular today. Local cable companies offer cable internet along with other services such as TV and phone connections offer it. In most cases, you share cable internet with neighbors thus affecting stated speed and reliability levels. DSL(digital subscriber line.) internet: Offered through an already existing telephone connection and has speed limitations. Satellite internet: A type of internet service that relies on satellite. A satellite dish is crucial for this type of service and it is common in rural areas where other types of connections are not available. It is slower compared to cable and DSL internet. Fiber-optic internet (fiOI): This is internet delivered through cutting-edge fiber-optic technology and marks the highest standards of internet service available in the market. It is now the best standard offered by internet service providers as it guarantees high-speed and reliability. Fiber optic internet is more reliable and secure than cable and DSL and you won’t experience loss of signal due to weather conditions. One of the most crucial aspects to consider when choosing internet services is the speed. It is the feature of internet services that raises most of the complaints and for this reason, you need to examine the speeds offered by your provider carefully. Speed is crucial for individual internet users and even more critical for businesses and organizations. Your customers want the best connections and that’s why you must confirm the download and upload speeds. In this case, your interest will be download speeds. Look at the bandwidth measured in megabits per second which gives you an estimate of the time you will take to download your files. If your work entails data-intensive activities and you have multiple devices, then you need a larger bandwidth to work effectively. Consider your work activities or browsing needs to choose an internet service provider who offers the adequate speeds. For General web surfing, email, social media, you don’t need large bandwidth but when it comes to High-definition video streaming, and various large file downloading, you need to look for high speed internet providers. Now that you understand the importance of bandwidth in your internet service package, it is important to compare available bandwidth options. For shared bandwidth, internet users a particular area share the amount of data transfer. This means heavy usage among your neighbors will affect your internet speeds. For more reliable internet speeds, you should consider dedicated bandwidth where you get a custom package that is not prone to variations. While dedicated bandwidth is more expensive the shared option, you enjoy better internet connection at all time. Before you sign up with any internet service providers, look at other packages available in the market. Most consumers need more than an internet connection and for this reason. Most internet providers provide bundled packages to cut costs and offer more reliable services. Bundled packages also include telephone, internet, and TV service from the same company which saves you money. Every internet service provider will also have a unique contract which you should read keenly. Most service providers in this sector require a 1-year contract which you can renew. Others offer no-contract internet services but at a higher price. Some of the things to look for in the contract include service cancellation fees and other fees you need to pay to activate the service. With the importance of the internet in personal and business communication, it is essential to find the most dependable service provider. Such a company should have no caps on downloads you can make in a month because this can inconvenience you much. When you exceed the limit, the restrictions set in and this lead to lower speeds or disconnection. Make sure you consider if such limitations will affect your personal or business needs before signing up. The availability or responsiveness of an internet connection is a crucial consideration. Do your research and confirm the internet service provider provides a connection which is always available, functional, and usable. Look for guaranteed uptime of 99.5% but go further and ask from other clients whether this uptime is real. In case you have a problem with your connection, you need prompt assistance and this is where reliable customer support comes in handy. Read reviews to determine the internet service provider offer reliable customer support 24/7. If the internet is down, you need the fastest resolution and this is only possible through an excellent customer support team. Other things to consider to find the best internet service provider include hardware requirements and whether the service provider this, add-ons (such as free installation or a free internet security software, personal webpage hosting among others) and of course availability of the internet service provider in your locality. With these tips, you can now go ahead and find a reliable internet service provider. best internet service providers cable companies high speed internet providers.